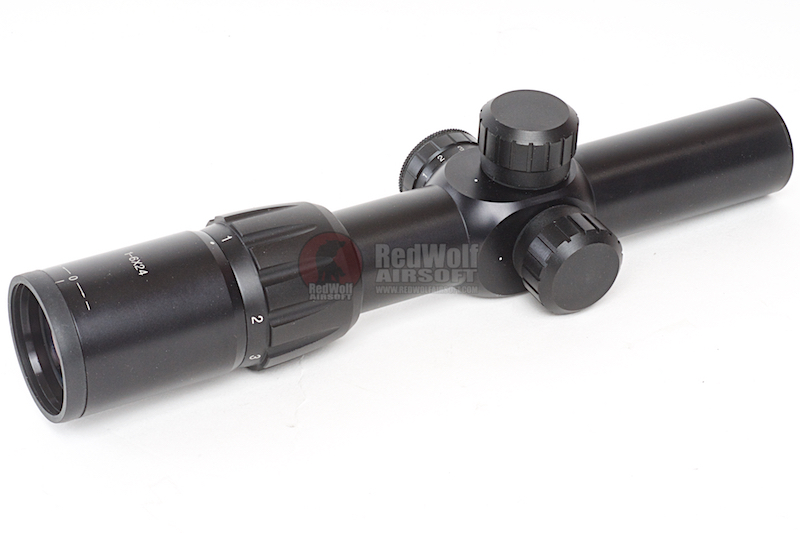 Scopes don't need to be complicated to be effective and the RWA 1 - 6 x 24 First Focal Scout Scope is an example of that. Let us first explain what is "first focal". 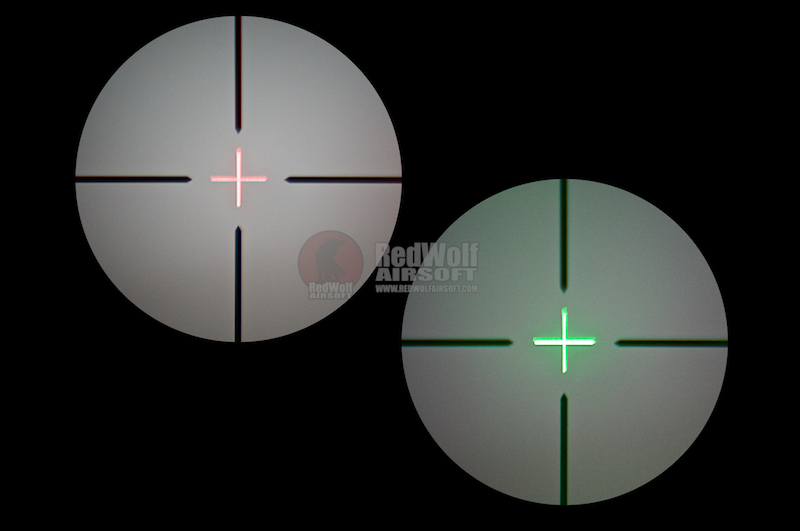 As the magnification is increased, the apparent size of the target is increased, but the reticle appears to remain the same size; with the result being that the reticle covers less of the target when the magnification is increased. This makes aiming easier. You can choose to either have a red or green cross-hair as it really depends on the lighting and the preference of the user but no matter which one you use, the lighting is crisp. There are 5 levels of lighting. The lowest level (1) is dimly lit and even visible in a brightly lit room. You would think that the last level (5) would be too bright but it isn't. Even in the dark, the brightness doesn't overflow and block the rest of the view. Robust construction with quality constructed components for quick adjustments. 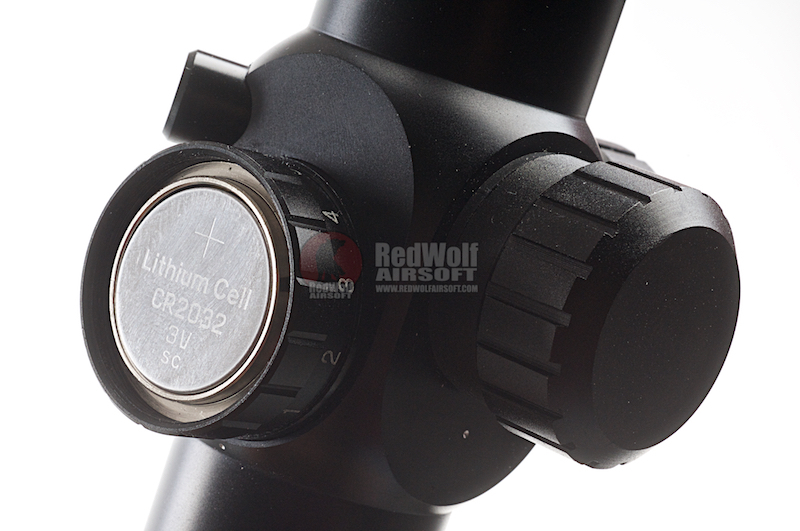 Designed to operate in low light conditions to maximize whatever light is available, you are assured with a bright sight marker to make target acquisition fast and easy. 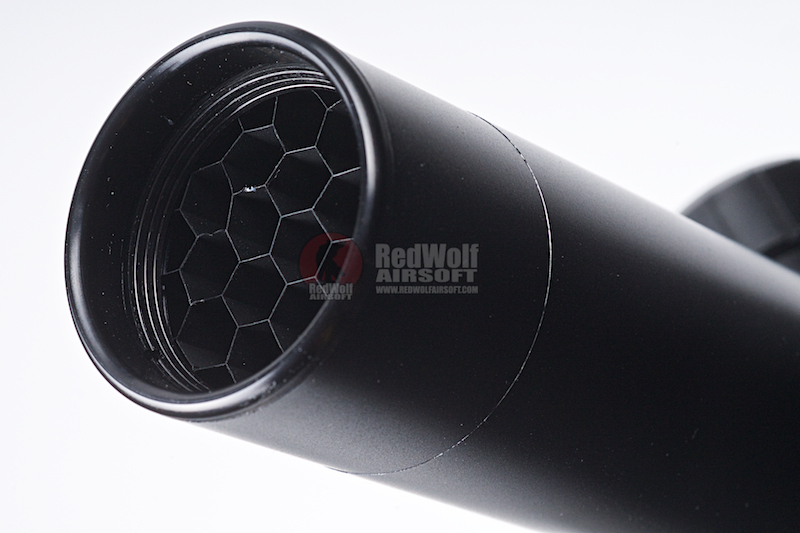 Windage, elevation, zoom, and brightness dials all offer a large grip surface, and are all placed in convenient positions. 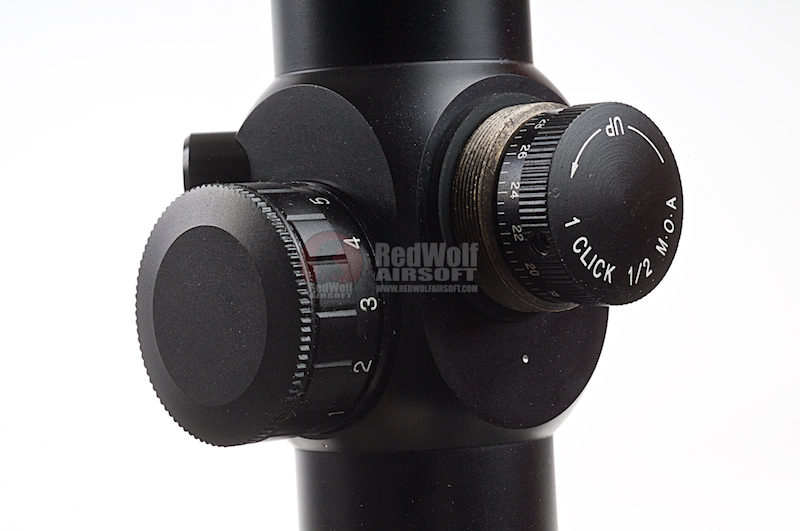 They're also easy to work, just press and turn to dial it in, no need to remove the cap. The view is crystal clear no matter how far you zoom. 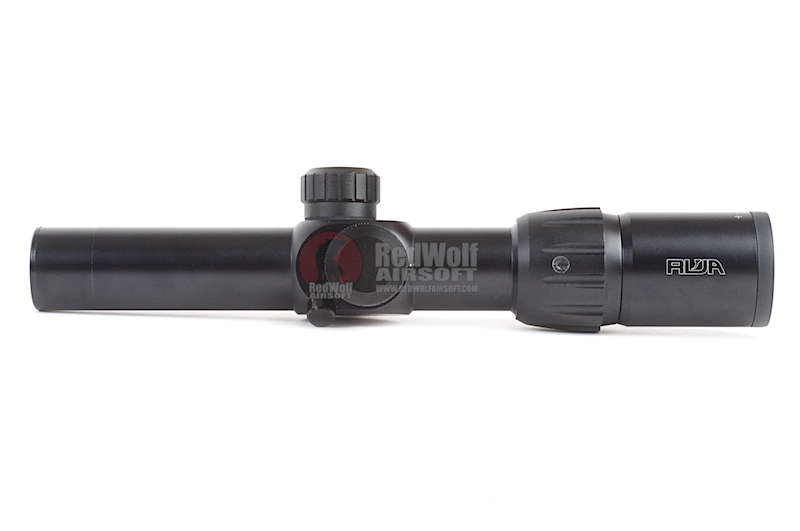 Eye relief can be an issue in most Airsoft scopes but not in this case; your eyes will easily adjust and find focus with ease with the 3.5 inches eye relief. 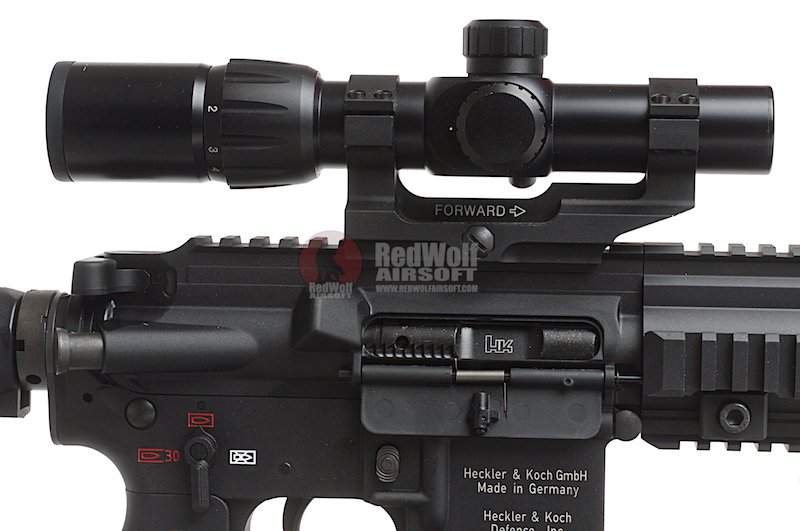 It can also withstand the recoil of the strongest of GBBRs and will not offset the zero.